Lewis Perkins, RN, BSN, MSN, DNP. Lewis Perkins, RN, BSN, MSN, DNP is named Chief Nursing Officer for INTEGRIS Baptist Medical Center and it’s affiliated entities. Lewis is currently the System Vice President of Nursing at Norton Healthcare in Louisville, Kentucky where he has worked since 2011. 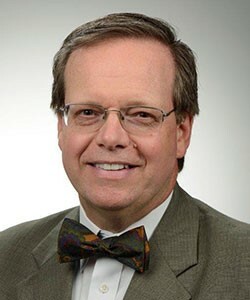 Lewis has an incredible career in nursing leadership with significant MAGNET experience, he serves on the APRN Practice Committee for the Kentucky Board of Nursing and brings a wealth of nursing leadership experiences and innovative ideas to the table. Lewis will begin his duties at INTEGRIS on Oct. 1. He and his wife (also a nurse) have a son in college and a son in high school who will be re-locating to Oklahoma City at the end of the school year.